BlackRadioIsBack.com Concert Pictures Part 1: Jamrock Reggaefest in New York City (June 14, 2008) | BlackRadioIsBack.com - Official Blog of the Syndicated FuseBox Radio Broadcast! 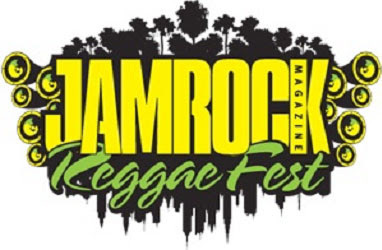 Here are some pictures from the Jamrock Reggaefest Concert (sponsored by Jamrock Magazine) that the BlackRadioIsBack.com staff attended at the Hammerstein Ballroom in New York City on June 14, 2008. There was over 6 - 7 hours of reggae performances (but with a lineup consisting of Beenie Man, Kymani Marley, Third World, Etana, Chris Martin, Demarco, Cecile, Assassin, Mr. Vegas, Wayne Wonder and more doing full performance sets, what could folks expect) from roots to dancehall that kept the sold out crowd that came in during an insane thunderstorm with good vibes, dancing and happy. I personally had never been to one of these mega reggae concerts before, but it was definitely worth the while and time (and money) well spent. Check out some of our pics below...more coming soon! "Whiteboy" from VH1's I Love New York was rolling with Kymani Marley's crew of folks, which was to say the least, a bit unexpected from our end. The BlackRadioIsBack.com folks got to talk to him for a minute and he was a laid back, cool and nice dude, not on some Hollywood bulls*** (if you think I'm exaggerating on this, go to your local club area after some local yokel from around your way is on reality TV for a second and gets paid to host a party and see how siddy they act). He pretty much let folks know that the TV show was just that - TV and promotion - and that he's been doing this thing on the behind the scenes music industry for a while.